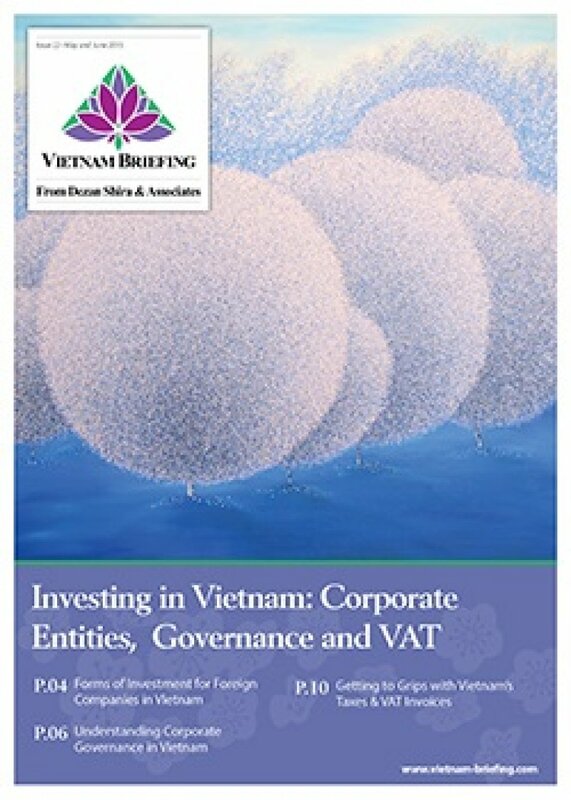 In this issue of Vietnam Briefing, we highlight the forms of corporate presence available to foreign investors in Vietnam. We take a look at the country’s system of corporate governance, and discuss how the form of presence a company chooses affects its obligations from a governance perspective. Finally, we examine Vietnam’s VAT and invoice system which, as elsewhere in the region, is tightly controlled. Vietnam’s new Enterprise and Investment Laws, in effect from July 1, 2015, have changed the country’s investment landscape. Foreign investors still face restrictions on doing business here, but fewer than before. The framework for corporate governance is enshrined in this legislation and must be considered when hiring a team in Vietnam to fill roles required under the law. These requirements are especially important when writing responsibilities into employment contracts. Concerns of investors putting their money into a country with a developing legal framework are understandable. Laws in Vietnam are sometimes released without relevant implementing regulations, leaving the situation unclear. This is why expert guidance of experienced professionals who work in liaison with the government is so critical when establishing a presence in Vietnam. For foreign companies selecting an Asian country in which to invest, Vietnam is a more attractive option now than ever before. As the country’s new investment laws come into effect, we hope that you find this issue of Vietnam Briefing a useful starting point for establishing your business here.